Seborrhoeic dermatitis, commonly known as seborrhea, is a chronic skin condition without a definite cause, although it is believed that it could be due to a fungus called Malassezia. Other possible causes are genes or an unusual activity of the sebaceous glands. 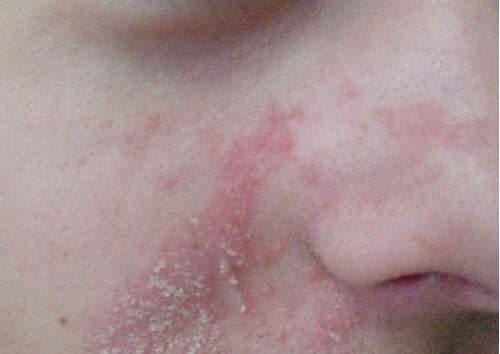 Seborrheic dermatitis has eruptions on specific parts of the face and scalp, in such a way that a reddish yellowish peeling and a cutaneous inflammation are generated. Risk factors may be stress symptoms, obesity, oily skin, nervous system disorders (such as Parkinson's) or living in extreme climates. In the market there are many products made from chemical bases that are used to treat skin problems. Today we will tell you that nature also offers treatments for all kinds of conditions, including seborrheic dermatitis. Below we will give you some natural remedies that you can use to treat this skin condition. The vitamin C of lemon is a great ally to fight infections caused by viruses, bacteria and fungi such as seborrheic dermatitis. Strengthens our immune system helping us to prevent diseases. In addition, the lemon is an astringent, so it helps to clean the pores of our skin and remove dead particles, such as peeling skin . Cut a lemon in half and squeeze the juice. With the help of a spray, spray it on the face (or the affected area) in such a way that it touches the skin. Make massage and let it act for 10 minutes. The lemon can generate stinging when making contact with the skin, but it means that it is acting correctly on the fungus. Coconut oil contains an acid popularly used to cure infections caused by yeast and fungi. It is caprylic acid. Combining its action the properties of the lemon is very effective. Combine well both ingredients and apply the mixture on the scalp . Leave for 10 minutes before rinsing with warm water. The aloe vera plant is used in multiple treatments for the skin and hair. The natural gel of the plant has astringent components that have to dry the skin and hydrate at the same time, avoiding the loss of water. In addition, it regenerates the pH of the skin, being an aid to clean it, eliminate inflammation and regenerate it. 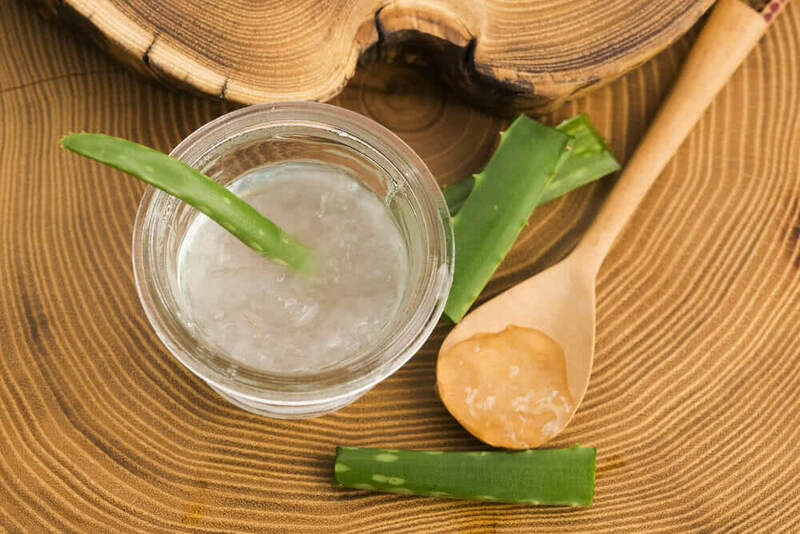 For seborrheic dermatitis, extract the gel from an aloe leaf and process it to facilitate its application. Use the gel to massage the problem area and let it act for 20 minutes. After the indicated time, rinse the skin with warm water. Use the aloe gel once a day for a week to see the results. Honey can be of great help in mild cases of seborrheic dermatitis. Because of its antibacterial properties, it works by reducing the moisture in the skin, so that the fungus can not reproduce. It also relieves itching and irritation of the skin. The honey may be mixed with egg whites or just with water. In a bowl pour the boiled water, add the honey and mix well. Apply in the affected areas with a massage and leave for 2 hours. It is one of the preferred remedies and you can administer it once every two days. Apple cider vinegar is used in medicinal remedies because it contains malic acid in its composition, which is very effective when fighting fungi of seborrheic dermatitis for its anti-inflammatory and antibacterial properties. It helps to balance the pH of the skin, reduces excess fat and protects your skin from infections. In a bowl mix equal parts of boiled water and apple cider vinegar . Apply on the affected area and exercise gentle massage. Apply this treatment until you notice the decrease in symptoms caused by seborrhea.